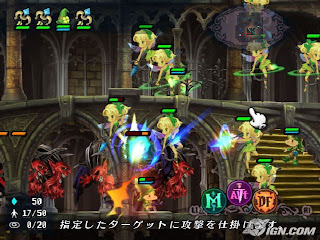 Funny that I just mentioned this game in my post last night about Odin Sphere. Although it hasn't been announced yet, I'm fairly sure Nippon Ichi's Grim Grimoire is on its way to the U.S. sooner rather than later. A slew of translated videos (including an official-looking trailer) and screen shots were added to IGN.com today. Go here to check them out--and stay tuned for what I'm sure will be official word from NIS America!